A woman of science. A man of magic. Hunted for their HeartsBlood. Dr. Salista Calon knew that she worked in a bad part of San Francisco, but nothing could prepare her for the horror that awaited her at the hospital. Drawn into a world beyond her comprehension and control, Salista must choose between science and magic. Her mind and her heart. 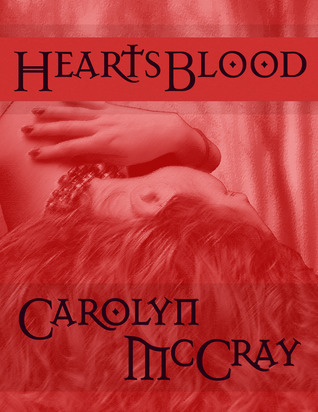 Carolyn McCray restored my faith in the paranormal romance genre with her novel, HeartsBlood. I loved it! To say the least. Salista is a great leading lady as she defies her fear while helping Tyr (the man in leather) track a beast who threatens to destroy the world. She has a strong heart, an intelligent mind, and a uncompromising will. McCray's writing style pulled me in from the first chapter (which was actually last week's teaser) and I was reading at lightening speed to find out what was going to happen. The science behind the fiction was astounding! McCray really did her homework and it was incredibly impressive. 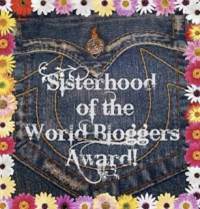 The plot was so fast paced and intricate that I had trouble keeping up with it at certain times. It was as if I was Salista, thinking everything through, coming to the conclusion at the same time as the main character. The idea of essence and intent was creative genius. And when McCray applied it to atoms and inanimate objects, I was even more impressed. The only thing not impressive: the love story. Come on, can a girl get a happy ending once in a while? And can feelings ever be reciprocated without an ulterior motive? I must admit, I was surprised by the betraying end. But then again, I wouldn't have cared so much if the connection with the main character wasn't so strong. And McCray definitely bonds readers to Salista. Well played, McCray, very well played.